From the moment your dog is born, it begins an incredible journey of growth and development. 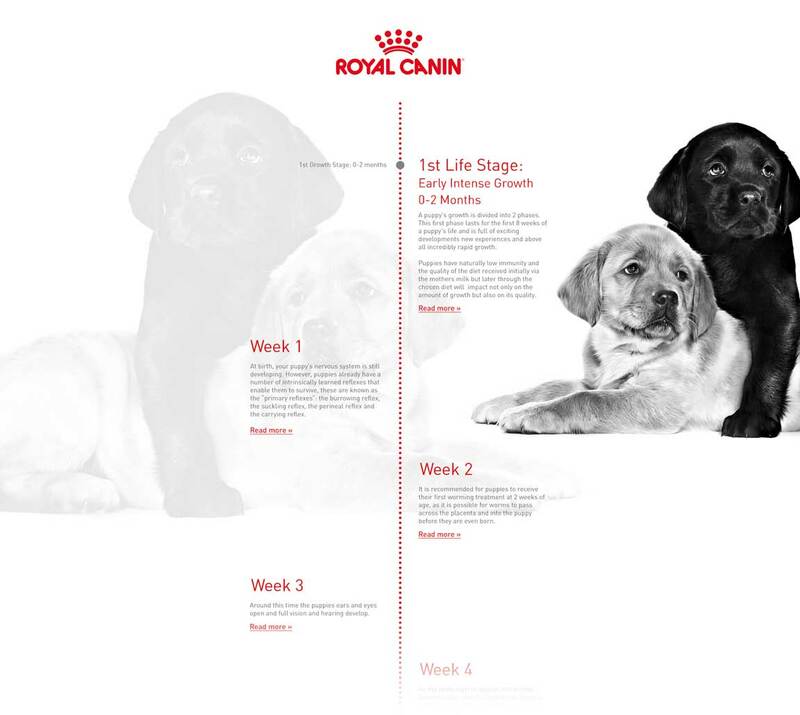 Our ROYAL CANIN® Dog Timeline charts that journey, from puppy to adult to senior. Each growth stage explains the important events and developments, helps you understand how this effects your dog’s dietary needs, and also how that might change depending on their breed. Follow our timeline and find out the right kind of nutrition and diet for your dog, depending on their age and breed – ROYAL CANIN® has a range of different breed and lifestage specific dog foods to help your dog get the nutrition it needs.